SUBSTATION'S FIRST TAKE IS BACK! Two boys bring a dead body to an open field. Its disposal does nothing to remove the memory of its existence and its ceasing. A poetic film about young men and their own inability to deal with their consciences, their anxiety towards the world, and their loss of innocence. Athalia Ho graduated from Ngee Ann Polytechnic’s School of Film and Media Studies with a Diploma in Film, Sound and Video in 2008. She had consistently been making films with her cellphone—films that have never been and never will be released—before finally deciding to commit this style of filmmaking to a proper form with her short film, Candid Shots of Youth at Play. Backyard Bowler is the story of a man, Tim, reminiscing about his life in his final moments as lung cancer debilitates him. We experience his trials, mistakes and somewhat self-constructed predicaments as he struggles to keep afloat. Amanda Tan graduated from the School of Art, Design and Media at the Nanyang Technological University with a degree in Digital Filmmaking. Her work has been screened at festivals such as the Singapore Short Film Festival and the 2009 Salento International Film Festival in Italy. A coming of age story about ten year old Ming and the choice he has to make of how to spend his savings. S Anoopriya is a graduate from Nanyang Academy of Fine Arts with a Diploma in Design and Media. She has written and directed several shorts in school. Her loved ones have died tragically, the shock and grief makes her retreat from reality. In her mind, this harrowing event never took place and instead, she hopes to seek happiness. 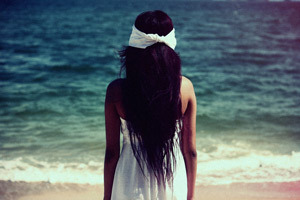 She escapes into a world that exists in her imagination and finds her way towards her own disappearance. Beyond the dreams and fantasies, the film depicts a world of alternative existence, reflecting the overwhelming confusion and grief that leads to her eventual release. Hakym Noh was born in 1992 in Singapore. He has completed five shorts so far, and also dabbled in photography. You Disappear is his most recent short. Rick Shamus writes (what he thinks are) hilarious t-shirts. Stephanie is in her final year of Masters of coursework at NYU School of the Arts Asia. She likes making funny, weird, low budget films. Adam is a very organised person and felt that there was nothing wrong with his obsession; until his new secretary came along, disrupting his structure of life. He tried making adjustments but later understood that what was missing in his life was not the structure, but human touch. This is Zen’s first film. Michelle Cheong is currently pursuing a degree in fine arts at NTU, School of Arts, Design and Media, majoring in film. Her upcoming project is her thesis final-year project entitled Pixel. 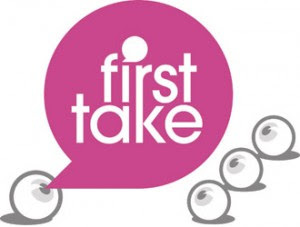 Tags: Event: First Take ShoutOUT!